Greek Prime Minister Alexis Tsipras is to unveil his government's post-bailout economic strategy in a keynote speech on Saturday as thousands protested against a controversial planned name deal with neighbouring Macedonia. Speaking at the annual Thessaloniki Trade Fair, where economic policy for the coming year is traditionally announced, Tsipras is expected to roll out a plan to scale back cuts to work benefits, enforced from 2010 onwards under the terms of Greece's three international bailouts. "(It) is a historic moment... after eight whole years, we can now plan (and) envisage Greece as we wish it, within, of course, the fiscal frame we have decided," Tsipras said Saturday during a visit to the fair ahead of his keynote address. "We are leaving behind recession and austerity," he said. Over 7,000 people are demonstrating in the city in separate protests against the government's economic policies, and in opposition to a recent diplomatic agreement aiming to end a quarter-century name row with neighbouring Macedonia. Thousands of police are deployed to keep protesters apart from each other, and at a safe distance from the fair venue. Riot police fired tear gas at one group of demonstrators who threw flares and stones at them as Tsipras was about to begin his speech. 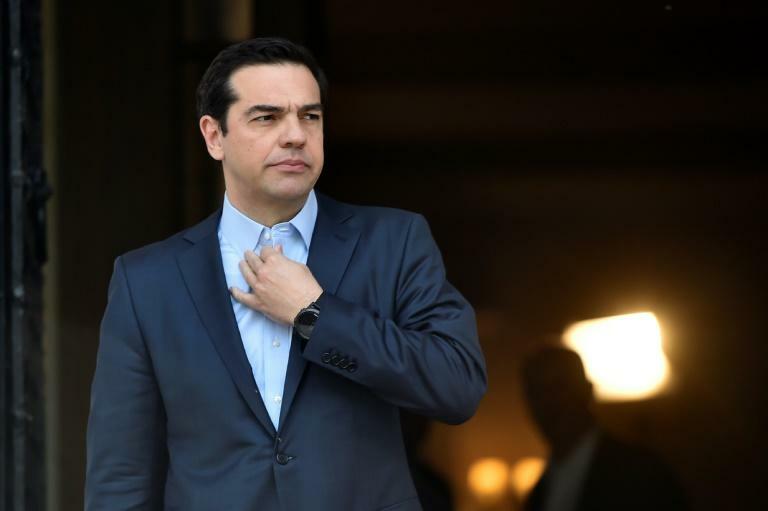 The 44-year-old Tsipras is trying to bounce back from poor ratings exacerbated by Greece's worst fire tragedy in July in which nearly 100 people died near Athens. He reshuffled his cabinet last month, and last week indicated he would bolster labour safeguards and raise the minimum wage.